NORTHBROOK, Ill., July 13, 2017 /PRNewswire/ -- Astellas today announced that Senior Vice President and Head of Medical Affairs Americas Shontelle Dodson, Pharm.D., joins the board of directors of the National Pharmaceutical Council (NPC), a health policy research organization dedicated to advancing good evidence and science, and fostering an environment that supports medical innovation in the United States. "As health care in our country continues to evolve, NPC plays an important role in demonstrating through its research and partnerships the value and impact of pharmaceutical innovation," Dodson said. "I look forward to working with NPC and my fellow board members to generate actionable data and analysis that help to spur continued medical innovation and ensure meaningful access to medicines for patients." Dodson has extensive research experience in the healthcare and pharmaceutical industries. In her current role, Dodson is responsible for the strategic direction of the Medical Affairs Americas organization, including medical support of in-line products, late-stage development compounds and ongoing business evolution across the region. 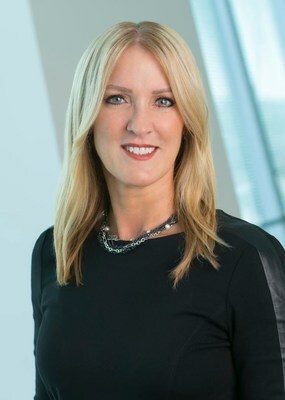 During her time at Astellas, she has been integral in helping lead the Medical Affairs organization through alignment of practices, policies and standards across the globe – including the launch of multiple global Medical Affairs systems and the execution of innovative disease registries and collaborative real-world data and health economics/outcomes research projects. After several years of service in direct patient care at the Department of Veterans Affairs, Dodson worked at Pfizer, Inc. and GTx, Inc. in various medical affairs leadership roles. Dodson, who also is a board member of the Society for Women's Health Research (SWHR), has received multiple awards for leadership and innovation during her career, including the National Healthcare Business Women's Association Rising Star and Astellas Vision Award. She holds a Doctor of Pharmacy degree from Mercer University School of Pharmacy and completed a postdoctoral residency at the Department of Veterans Affairs Medical Center in Nashville, Tennessee. Astellas has been a member of the National Pharmaceutical Council since 2013. The National Pharmaceutical Council is a health policy research organization dedicated to the advancement of good evidence and science, and to fostering an environment in the United States that supports medical innovation. Founded in 1953 and supported by the nation's major research-based pharmaceutical companies, NPC focuses on research development, information dissemination, and education on the critical issues of evidence, innovation and the value of medicines for patients. For more information visit www.npcnow.org and follow NPC on Twitter @npcnow.